Published: July 1, 2016 at 02:04 p.m.
On July 4, 1776, the 13 American colonies told Great Britain they'd had enough, and declared their independence. In that spirit, I'm declaring my independence from several fantasy players -- six, to be exact. There are reasons you may want to draft some of these players, and I respect that. But for me, it's over. Here are six players I'm declaring my fantasy independence from and likely won't be rostering this season. I can't do this anymore. Each offseason the C.J. Spiller hype train refuels and looks ready to leave the station, until injuries or something else derails the caboose. 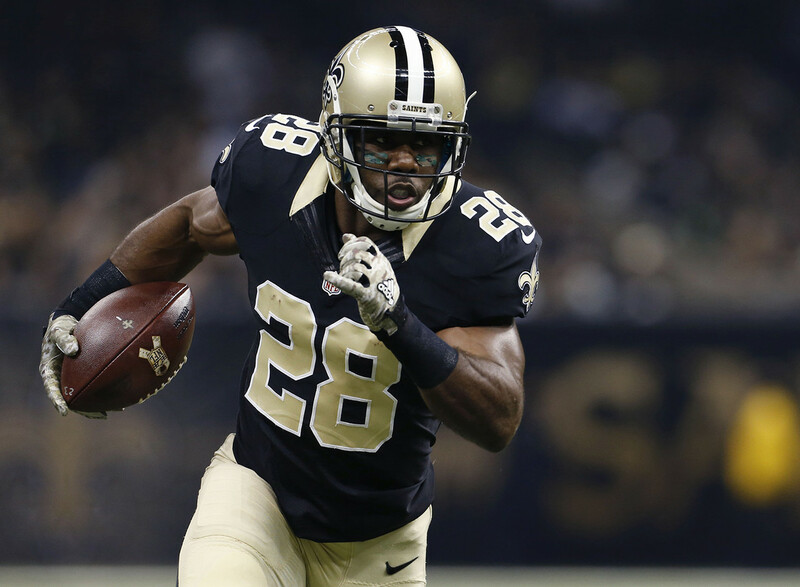 Spiller was injured last year so we never really got a chance to see him in the New Orleans offense, leading to much discussion this offseason about his health and role. Yet a prominent beat reporter recently noted that he's "clearly behind" Tim Hightower for reps. Sheesh. The talent and fit are great, but I'm not going to get caught investing draft picks in Spiller in 2016. Every year. Every year the "Ryan Tannehill is set to breakout" acolytes pop up with a new article, banging on my door and trying to get me to believe. Sorry, friends. I'm not buying what you're selling. After four years, I think Tannehill is who we thought he was: an average quarterback. With the position being so deep now in fantasy, I'll pass on the Fins' signal-caller and grab someone like Phillip Rivers or Tyrod Taylor late instead. Yes, Walker was a top-five tight end last year, led his position in receptions, and was one of only four tight ends to cross the 1,000 yard mark, but his season was kind of a perfect storm of good fortune. Injuries to Kendall Wright and Dorial Green-Beckham led to Walker getting pummeled with a career-high 133 targets, and who could forget his crazy-lucky tipped-pass touchdown against the Saints? With both Wright and DGB healthy, rookie Tajae Sharpe emerging, and a more ground-focused approach on the horizon, it's highly unlikely Walker sees that level of volume again in 2016. For that reason, I won't be drafting him at his current Round 7 ADP. I'll wait several rounds and get one of Matt Franciscovich's late-round tight end options and be just as happy. A local writer recently described Austin Seferian-Jenkins as " a $10 million dollar talent with a 10-cent head." Ouch. But in his defense, ASJ was dismissed from practice already this offseason by head coach Dirk Koetter, and his two seasons in the NFL have been a mixed bag of injuries and ineffectiveness. He's flashed his amazing talent before, but like I wrote above with Walker, there are just too many other late-round tight ends I'd rather take a shot on than ASJ. I bid you GOOD DAY SIR ... from my fantasy rosters. I've been rooting for Matt Ryan in a general football sense for most of his career, but I feel the need to officially declare my independence from him in fantasy. Ryan is a good quarterback, just not one I want on my fantasy teams. His ceiling is a low-end QB1 (his highest career finish is the QB7), and I can't envision him even reaching that in 2016 as his only real threat in the passing game is Julio Jones. That's great for Julio, but bad for Ryan on a weekly outlook. He's lacking the slew of weapons that will allow him to post week-winning totals every now and again. There are several late-round quarterbacks I'd draft ahead of Ryan in 2016. This one will put me on a bit of an island as there are many, many believers in Matt Jones' potential for 2016. However, I'm declaring my fantasy independence from him because I feel there are simply too many question marks around his game to consider drafting him in the middle rounds where he's currently going. Can he hold onto the football? Will he improve his yards per carry? How much passing work will Chris Thompson steal? What will Keith Marshall's role be? If Jones falls to me in like, Round 9? Sure, I'll be happy to rescind my call for independence and make amends. But at his current asking price, I don't foresee myself drafting Jones in too many leagues this fall.